The American Academy of People Who Want To Scare the S*** Out Of Me (AAPWWSOM) frequently release lists of foods that will cause horrible pain and untimely death. These people need to get a different hobby because they have completely confused me when it comes to healthy eating. So when I try to be healthy, and the AAPWWSOM tells me eating spinach could potentially kill me, I get a little frustrated. Spinach seems to frequently contain the bacteria Escherichia coli. (You might know it by it’s rapper name–E. coli.) So, should I eat spinach? There are other dangerously healthy foods, whose side effect seems to be DEATH; like the mushroom. One mistake and your fungus could kill you. I don’t usually forage in the mountains for salad toppings, so I hope the little baskets of mushrooms in the super market aren’t laced with poison. 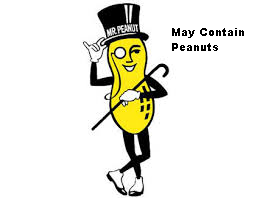 Also, Mr. Peanut is out to kill us. Behind that classy monocle, a peanut-sized brain attempts to wreak havoc by spreading peanut allergies through the land. By reading labels, I’ve learned that EVERYTHING is made in a facility that comes in contact with peanuts. Mr. Peanut is sneaky. And while I’ve never eaten star fruit, I read a report that said this fruit’s juice can poison people with bad kidneys. People with healthy kidneys are safe. But how do you know? And if you’re a fan of Casu marzu–you know, that cheese made from sheep’s milk that ferments outside and allows a certain fly to lay eggs in the cheese. Maggots then soften the cheese but you have to EAT the maggots to prevent poisoning. So I’ve crossed that food from my list. Even non-exotic foods like strawberries (pesticides), salmon (mercury), corn (genetic modifications), canned tomatoes (BPA) and apples (have you seen Snow White) have warning labels, explaining these foods could cause a third eye to grow out of your belly button. And death. 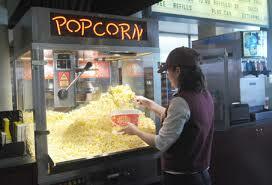 On further review, I might have to give up healthy food. I think a strict sugar-only diet is the way to go. Too funny and so true. One day wine, (that’s a fruit right? ), is good for you, the next you’re on your way to an AA meeting with swollen purple lips. I’m still going to drink wine, don’t get me wrong but now I don’t know is I should have a veggie plate or cake with it. Is this a legitimate reason to not eat healthy? Great post….